Individually-handled, consistent with MS-67 PL (Proof-Like) grade. For someone who wants a proof Morgan Dollar but doesn't have $10,000 to pay for a proof 67, this is a fantastic alternative. Daniel Carr is a true master and with the limited mintages of only 101 has created a true rarity that anyone should be proud to display in their colletion. I am delighted with the coin and glad I got one before it sold out. 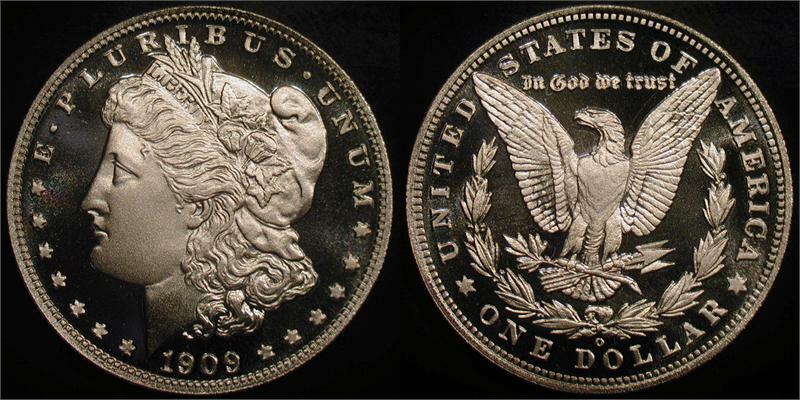 This "overstrike" Morgan does justice to the Morgan Dollar program. 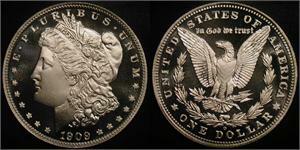 If you want to get an idea of what a Morgan Dollar might have looked like new this coin is a must have! Being a real Morgan overstrike is so much different than the 1oz silver bullion tokens with the Morgan image on it that you can get for $40 or $50! I would have bought a lot more than 1 but upcomming shoulder surgery has to come first! GREAT COIN !! !